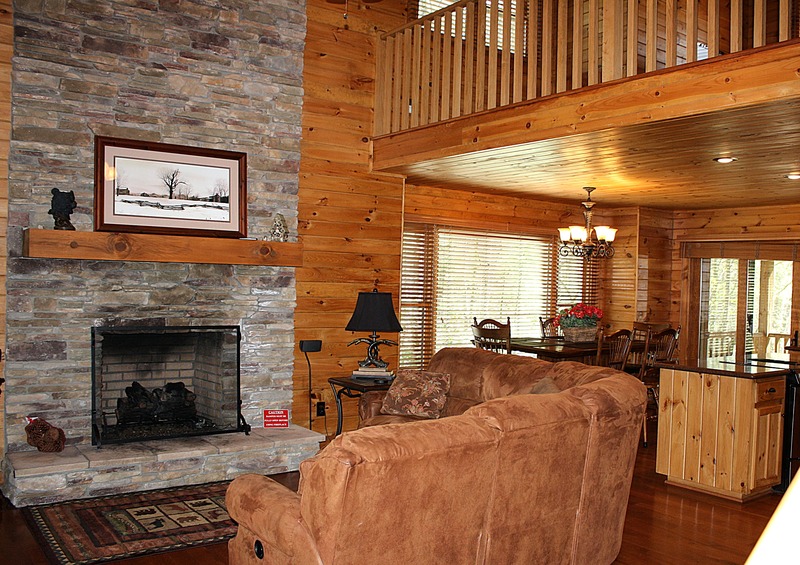 Living Space: 1,520 sq. 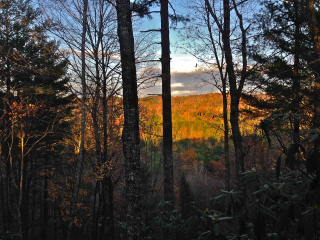 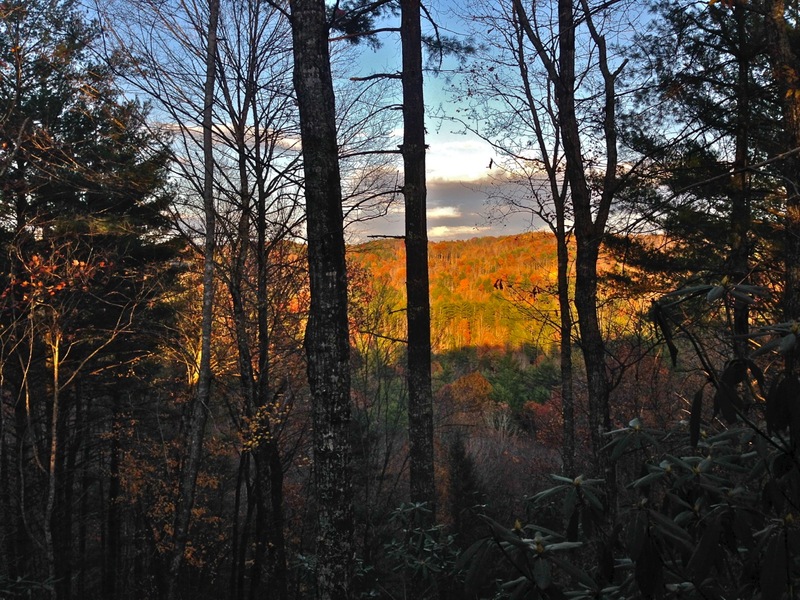 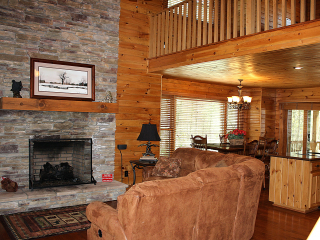 ft.
Crossroads is a charming mountain home with beautiful views of the Blue Ridge Mountains. 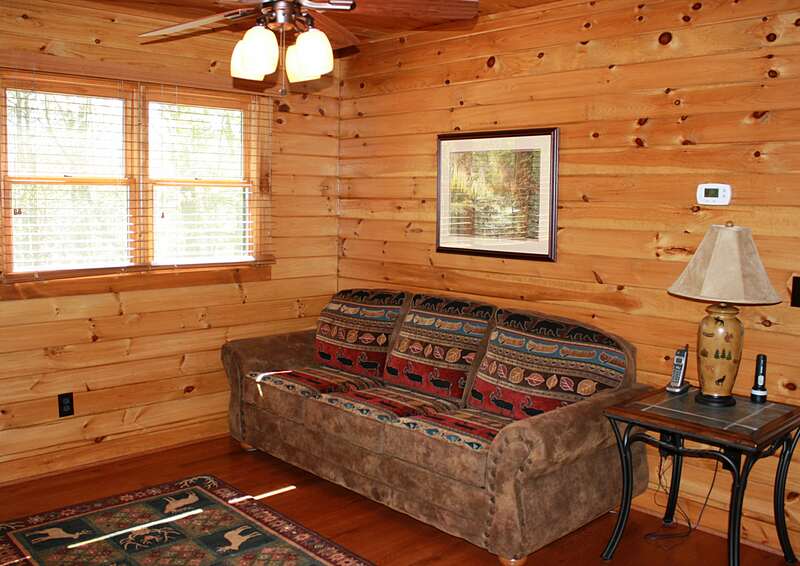 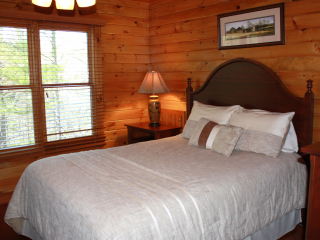 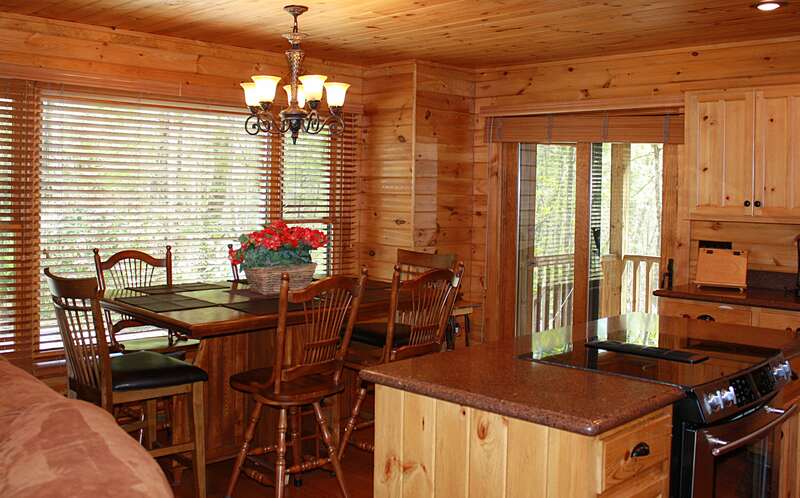 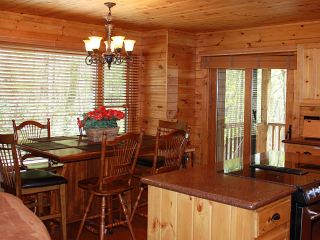 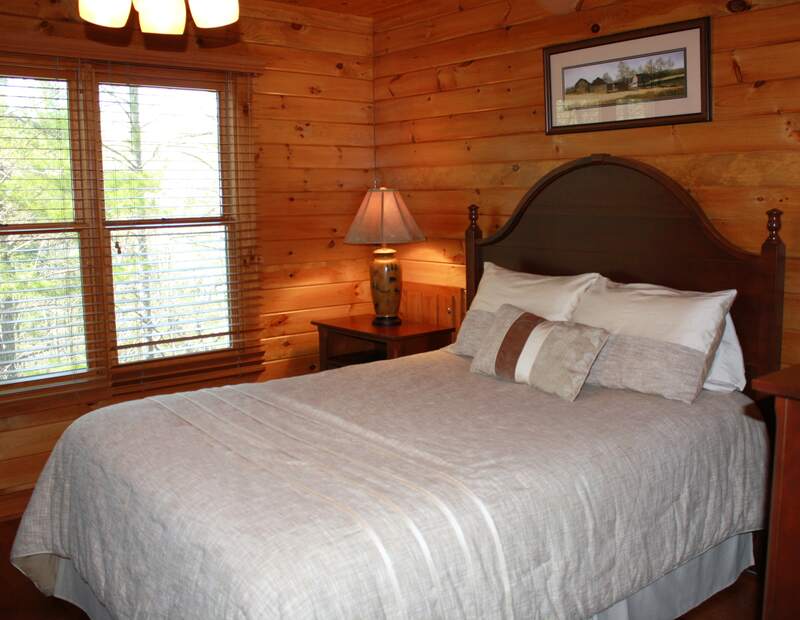 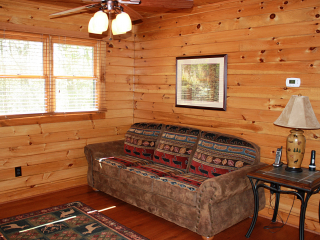 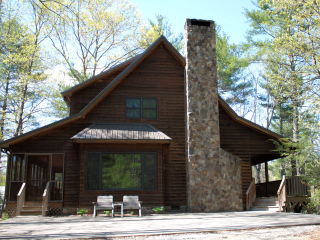 This log home has all the comforts of home plus peace, quiet and natural beauty surrounding it. 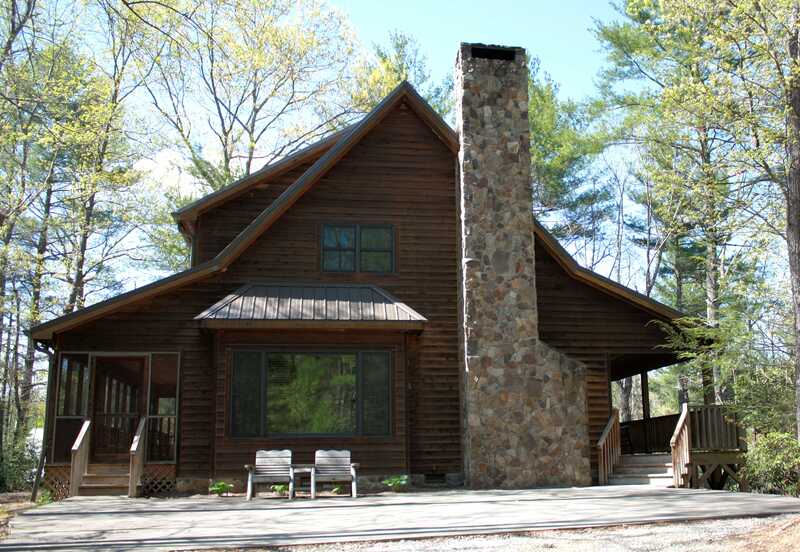 There is a beautiful kitchen/living area with a gas log, stoned fireplace reaching all the way to the vaulted ceiling. 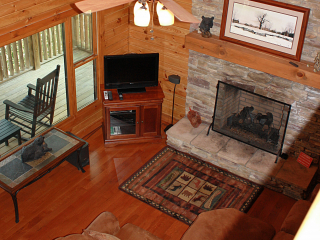 Gas logs are an insert and can be removed if so desired. There are two bedrooms and two baths with a loft. 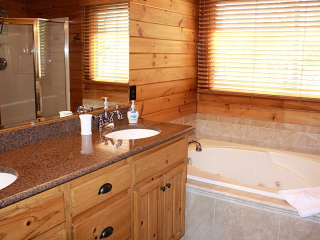 The master bath, as well as the bathroom upstairs, has a spacious jet tub and double sink. 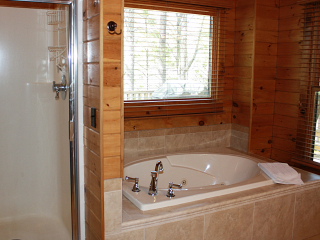 The upstairs bathroom is accessible from the bedroom, basically making this a second Master Suite. 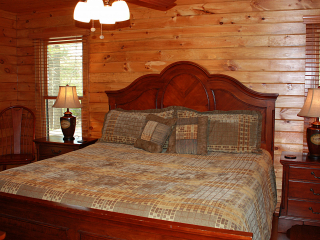 The closet in both bedrooms are walk-ins. 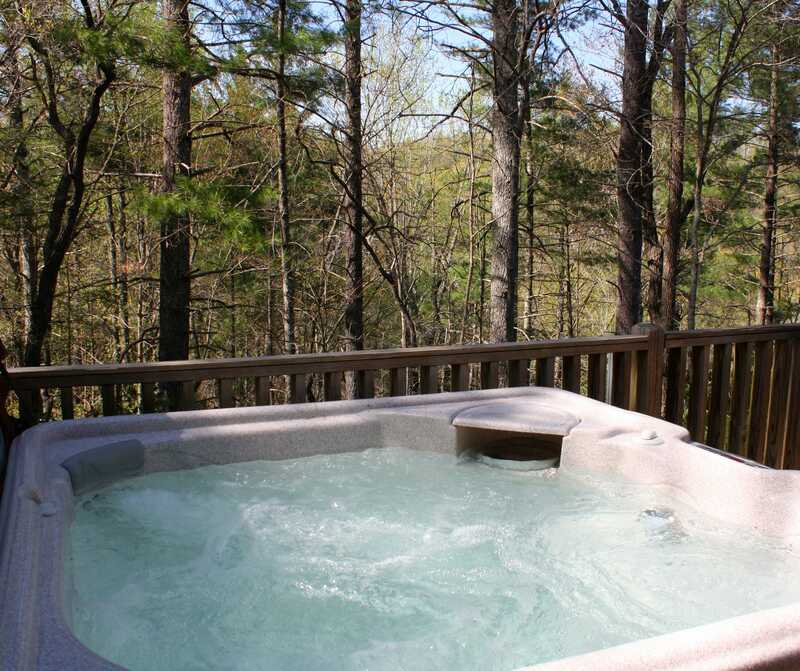 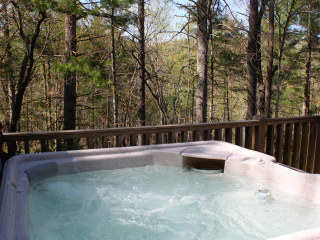 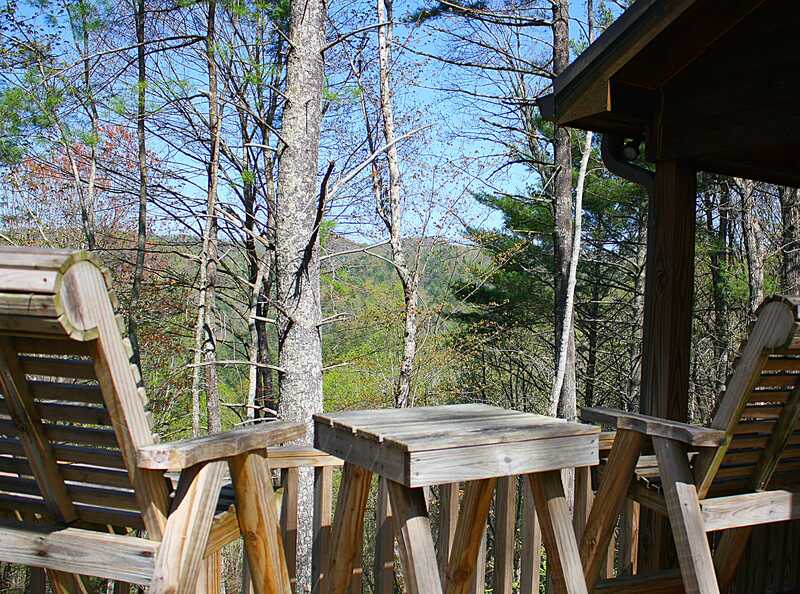 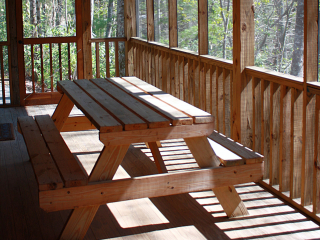 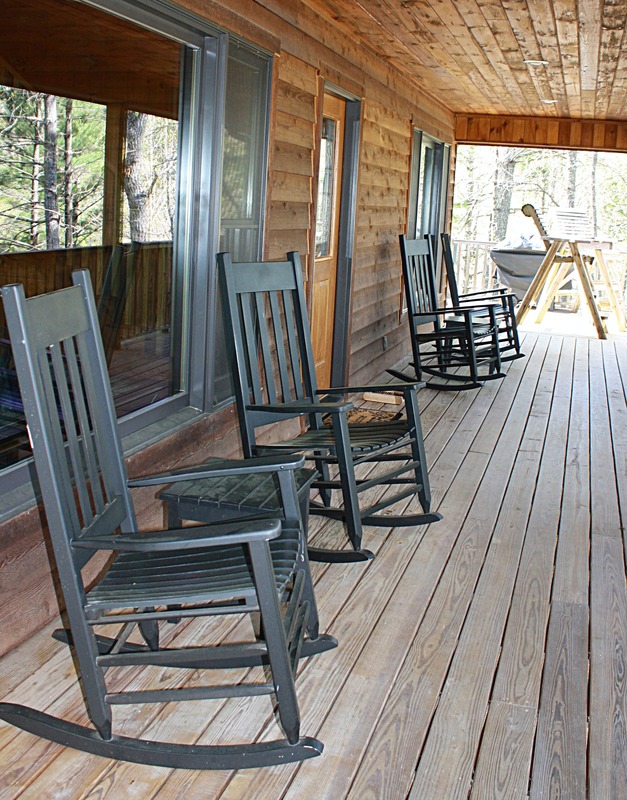 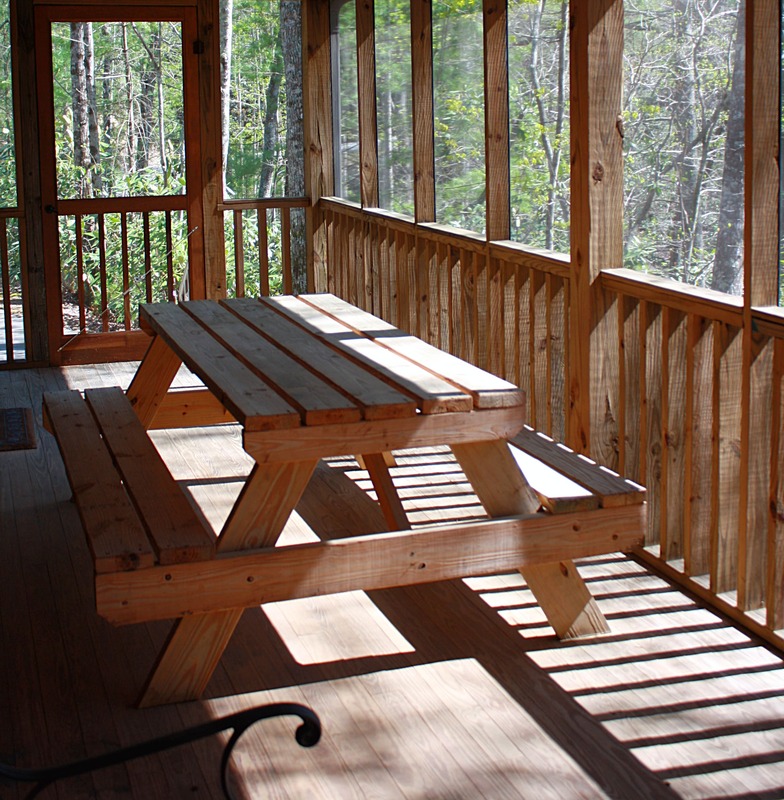 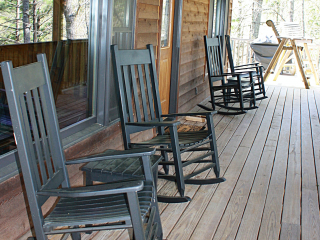 The wide porch features a four-person hot tub and rockers for enjoying the view and lots of wildlife. 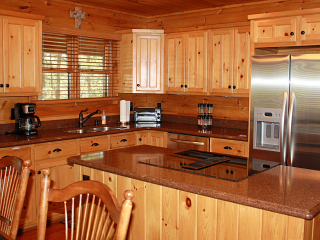 The kitchen provides plenty of counter space, and room to entertain. 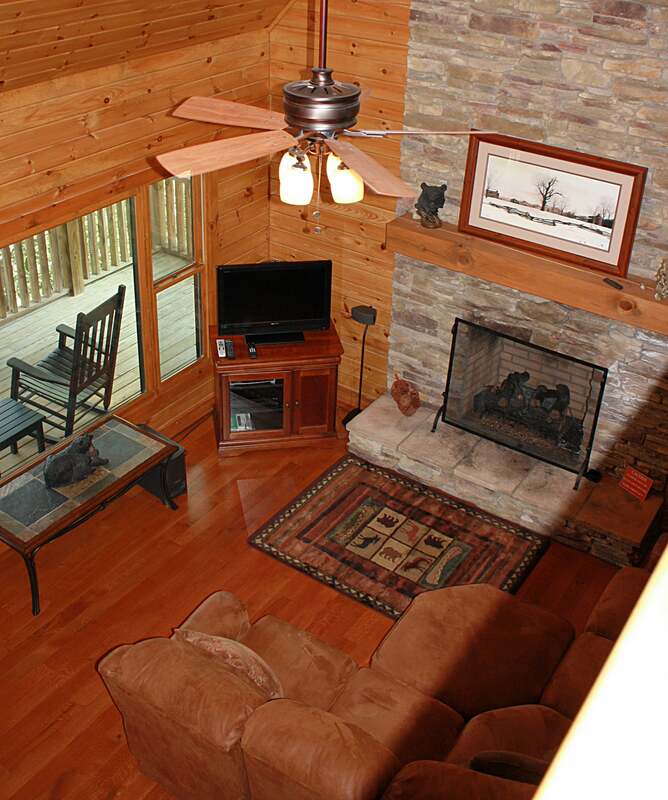 This home features an open floor plan, with a spacious loft overlooking the great room and fireplace. 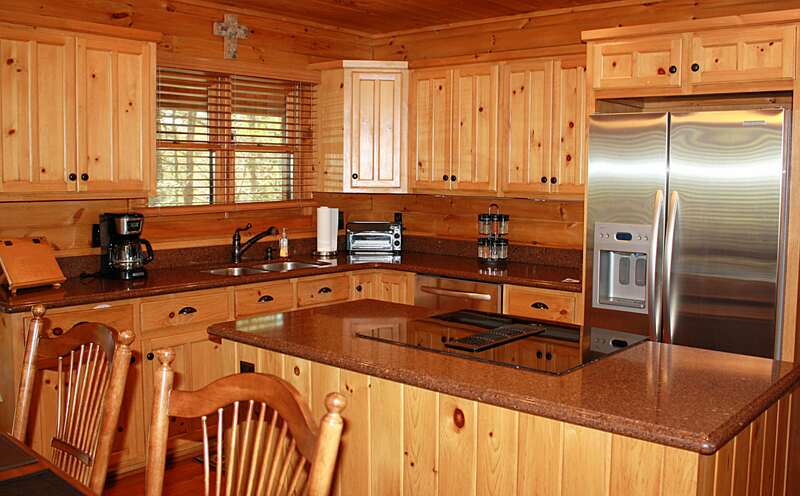 This home is on the Leatherwood vacation rental program, and has a rental history available. 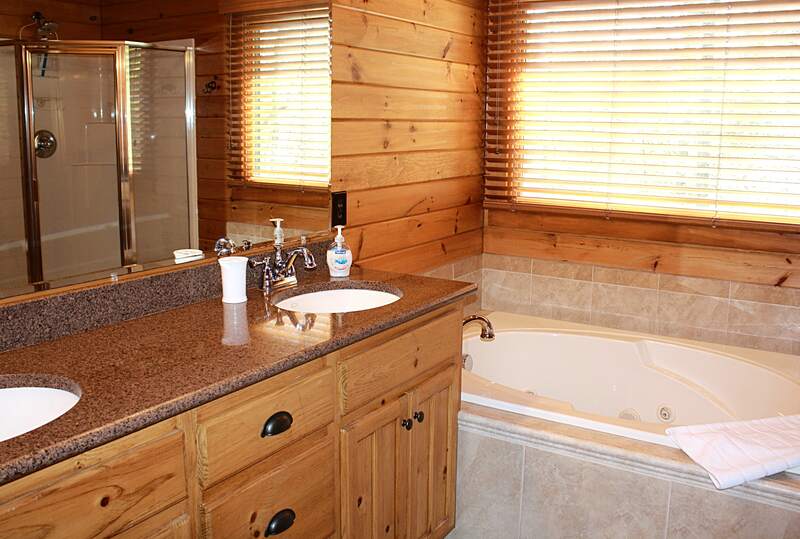 This is a quality built home and must be seen to be appreciated! Schedule a time to see this property today.